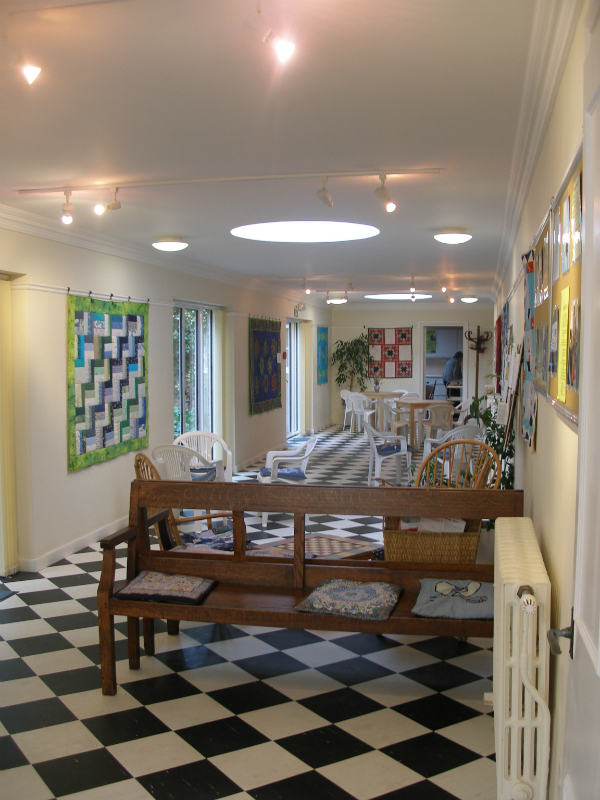 The Meeting House is home to over 50 social and community groups who use our rooms throughout the year. 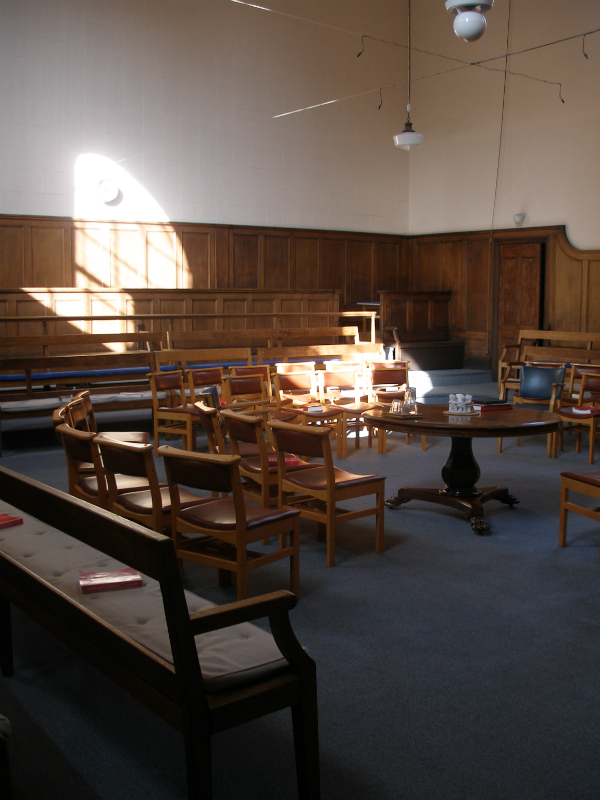 We welcome groups and individuals who are in sympathy with our Quaker values. 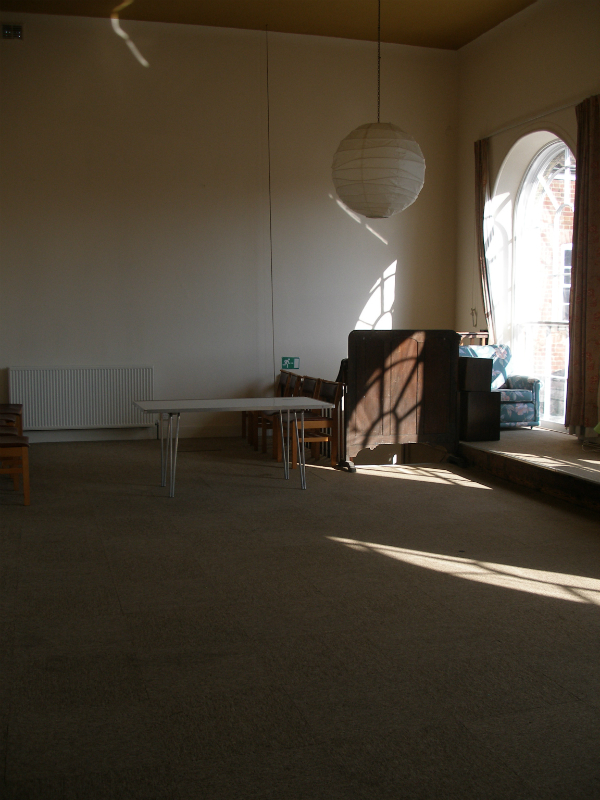 We have five rooms of varying size providing space for exhibitions, rehearsals, counselling and public meeting space, as well as meditation and exercise classes, giving great value for money for a city centre venue with a distinctive and peaceful atmosphere. We have a well equipped kitchen and we have facilities for the disabled. Please note there is limited car parking. has a seating capacity of 200 making it an ideal room for talks, musical events, lectures and presentations. This pleasant carpeted, wood panelled room is equipped with a hearing loop and microphone. With french windows opening on to the garden our Garden Room is ideal for informal gatherings or as a reception area with other hired rooms. The excellent directional lighting and plenty of wall space also make it a perfect exhibition space. 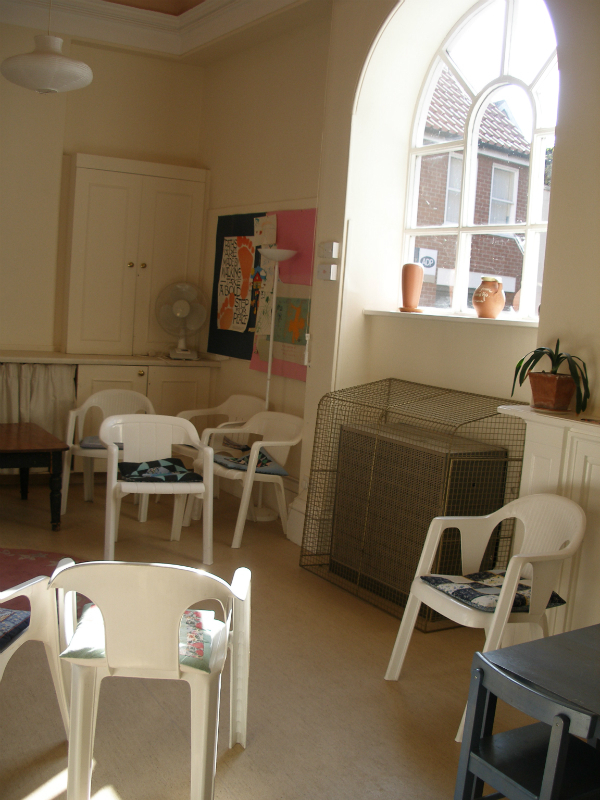 Is a light, airy room accommodating up to 20 people; totally self contained with its own utility area . This makes it an ideal room for groups with children. 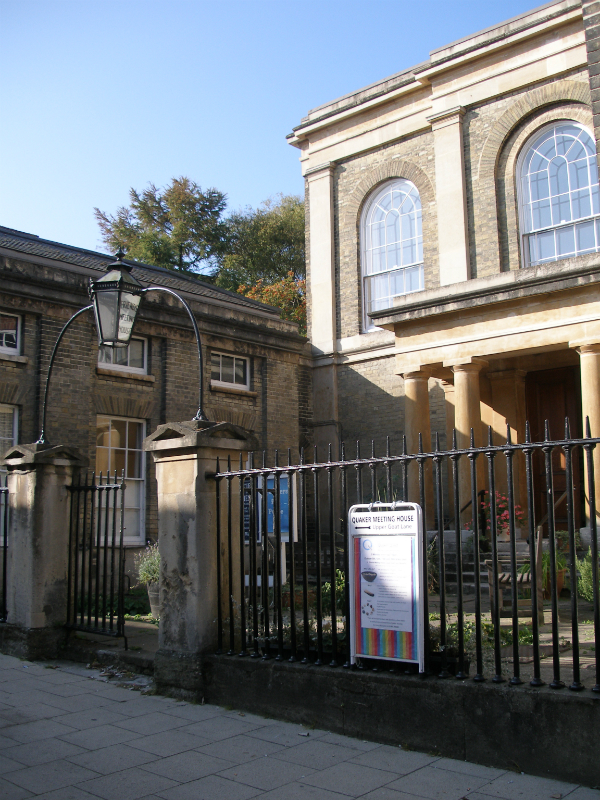 Situated on the first floor with views over the city the Gallery has a seating capacity of 20 when set up as a boardroom. Cleared of furniture; this carpeted room can accommodate up to 50 and makes a pleasant meditation space. A small, carpeted and peaceful book-lined room for quiet one to one meetings or small groups of up to 8. Recently refurbished, the well equipped kitchen is available for use by hirers alongside other bookings on a shared basis with others in the building. Will accommodate up to 70. 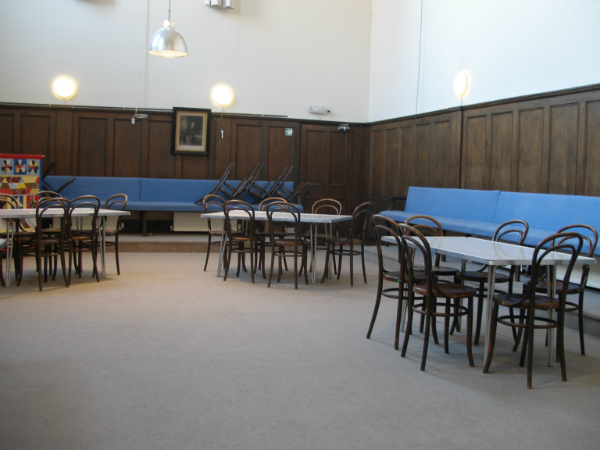 This carpeted room has bench seating and wood panelling around thee sides with additional tables and chairs available as required. There are two steps up to this room with a ramp available for easy wheelchair access. Hello, I run a local market called ‘Norwich Makers Market’. The event usually takes place at St.Thomas’s Church Hall but we are looking for a more central location in the city. I set up the market in 2012 and it’s been going really well but we never get enough footfall on Earlham Road. I was wondering what you charge for hiring the different spaces within the hall. I would also like to know if you provide any banquet tables. All of our makers are really lovely and the event promotes locally handmade goods. It would also be great it we could hire the kitchen as we provide a 100% vegan cafe at our market in the space we currently hire.